Summer is in full force here in the San Francisco Bay Area and I cannot resist palm prints of any kind, particularly this one from Show Me Your MuMu. I love how the touch of pink makes it a bit more sassy and flirty. I suppose that is why the print is called Key West Barbie! This halter dress is just easy breezy, so cute and comfortable. It looks darling with heels but I opted for flats since I was walking all over Berkeley visiting my alma mater (Go Bears!) and soaking up the sun down in the Marina. 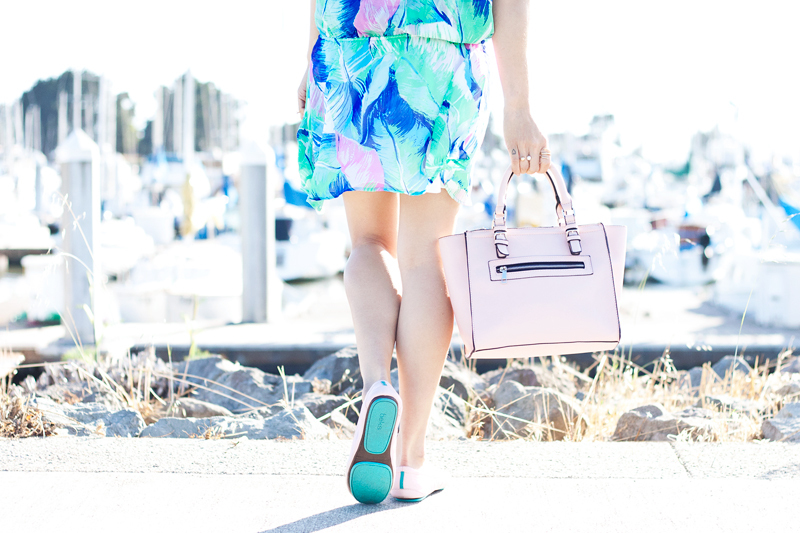 Not to mention how my pink Tieks flats with the signature teal sole match my dress perfectly! Are you into palm print? 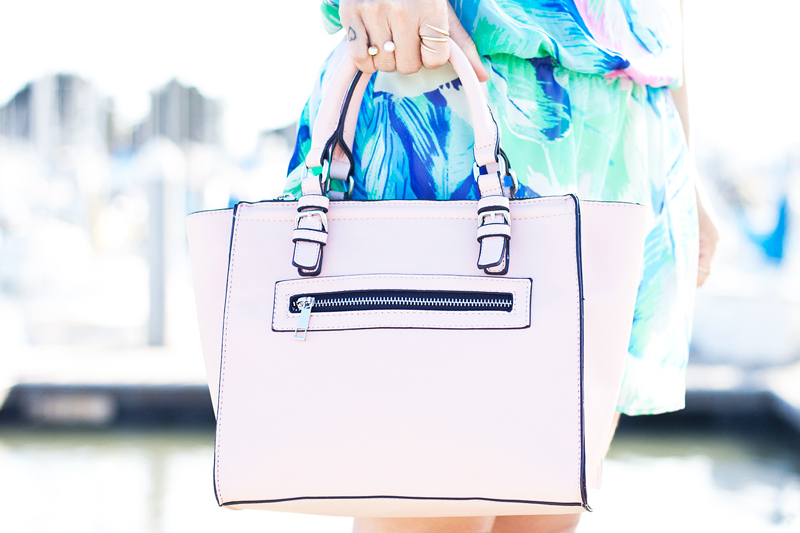 What print do you love wearing in the summertime? Key West Barbie hammock halter scrunch dress c/o Show Me Your MuMu. Pink leather ballet flats c/o Tieks. 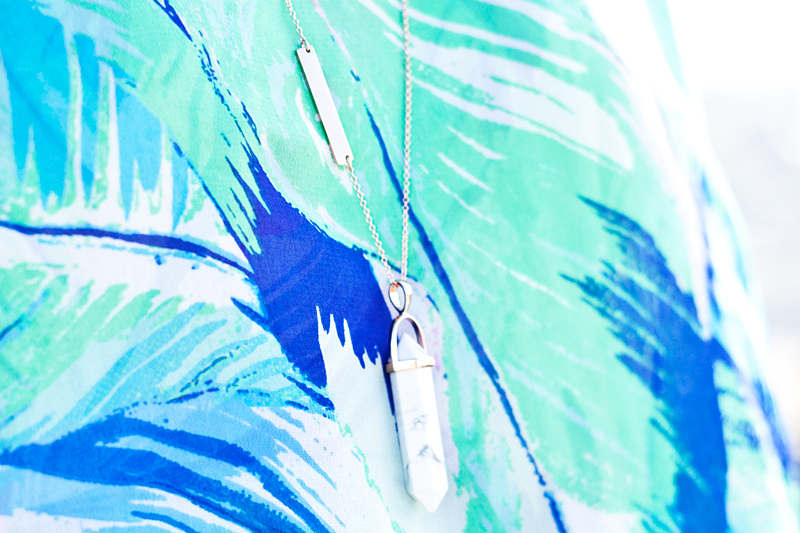 White howlite mineral necklace c/o Samantha Wills. Oh my gosh, how much I love your style! And that pattern... Can I say you're perfect?